Understandably, when you read a label you expect to see the word sugar, however there are a vast array of ‘sugar names’ on the label which are disguised. One of those is high fructose corn syrup (HFCS) — and that’s a completely different substance than your normal fructose ( fruit sugar) or sucrose (table sugar). Many people incorrectly use the terms “fructose” and “HFCS” interchangeably, but they are as different as night and day. Fructose is actually the “good” sweetener compared to all the others. 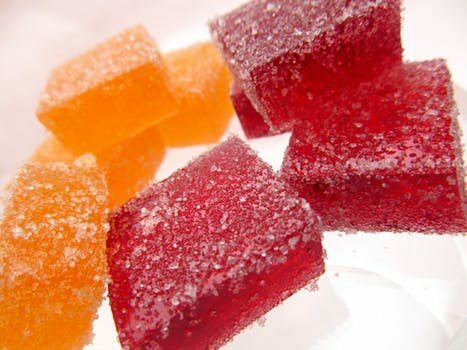 It is pure fruit sugar — the slowly-digested natural sugar found in fruits and vegetables. And it’s far more expensive than HFCS because it’s a pure, natural substance. HFCS, on the other hand, is a highly-processed industrial product made from corn. It’s very similar to table sugar in calorie content, but with decidedly harmful effects on your weight and health. HFCS is a mixture of free-floating fructose and glucose, so it doesn’t need to be digested at all. HFCS goes straight into your blood to spike your blood sugar and trigger the insulin response, while its synthesized fructose content goes directly to your liver to create fat. On top of that, the corn used for HFCS is usually genetically-modified (GMO), which is unhealthful and environmentally disruptive. Corn is also becoming a major allergen and an irritant to the immune system of those who ingest it. Fructose, when derived from eating whole fruit makes for a much safer, healthier, and cleaner product. As with all sugars you need to adopt a common sense approach! Use sparingly and the more variety you have in your diet the better. With variety your system can work better as it is getting more nutrients and reducing the burden on the system than if you eat the same foods day in day out. High fructose corn syrup is added to a lot of snack type foods, even a lot of health claim foods like diet foods. Start reading labels so you can choose exactly what you want to put into your body, but beware excess sugar and excess highly processed chemically manipulated foods cause spike in your blood sugar, creates carb cravings, increases hunger patterns as you are never satisfied, weakens your immunity, stresses the muscles and organs, causes insulin resistant, obesity, diabetes and on and on the list could go. Stick to foods which are closer to mother nature, grass fed beef, organic chicken, fruit and veg, nuts, seeds, water and wild fish and enjoy a healthier happier life. Gertrude Lawler, Health for life practitioner, practices in CLANE.